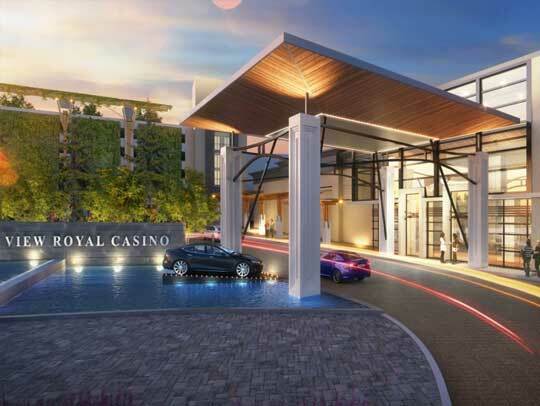 The long-awaited plan for the expansion of Saanich-based View Royal Casino was finally revealed to the View Royal City council and the public in a meeting held earlier this week. The Great Canadian Gaming Corporation (GCGC) is the parent company of the View Royal Casino. Chuck Keeling, vice-president for stakeholder relations and responsible gaming for GCGC said that the project would involve a significant redevelopment of the casino, both in terms of gaming as well as non-gaming facilities. Keeling added that the facility was aimed at customers who were entertainment seekers and not just those looking for gaming options. The casino located in the Canadian province British Columbia was named as the primary casino for the region by the province’s gaming regulator B.C. Lottery Corporation in July, after it chose to approve the setting up of a smaller casino in the city of Victoria. The $20-million project will develop new dining options, a 600-seat entertainment venue and result in an addition of 350 electronic gaming machines. Keeling said that the company will use the experience it acquired recently in revamping two projects to creating the redesign plans for View Royal Casino. While the new dining options will include a dining buffet and a pub restaurant, the entertainment space is to be positioned as a multi-purpose room which could be used for live music, entertainment shows and for community use. The theater will be created above the gaming floor. Keeling said that the expansion plans had been proposed first in 2007 but had been put off due to the global recession in 2008. Later the casino operator decided put on hold its plans because it was waiting for the BCLC to announce its plans for another gaming facilities in the area. Construction will now start in 2017 and if all goes according to schedule , the project will be completed during the first half of 2018. Clearly this is going to make the View Royal Casino the premier gaming facility on the South Island. I think that is good news all around for View Royal and all the municipalities that benefit from their operations. Screech said that the spinoff benefits from the casino’s expansion would be significant in terms of job creation pointing out to the new restaurants and the theatre. The casino has made significant financial contributions to surrounding municipalities. Five West Shore jurisdictions as well as Sooke and Esquimalt shared over $4 million in 2015 with host municipality View Royal netting the maximum amount of around $1.84 million.